These motorcycles are the new variations of the existing Thunderbird series of the company’s flagship motorcycles, Thunderbird 500 and Thunderbird 350, but will come with a different design approach. 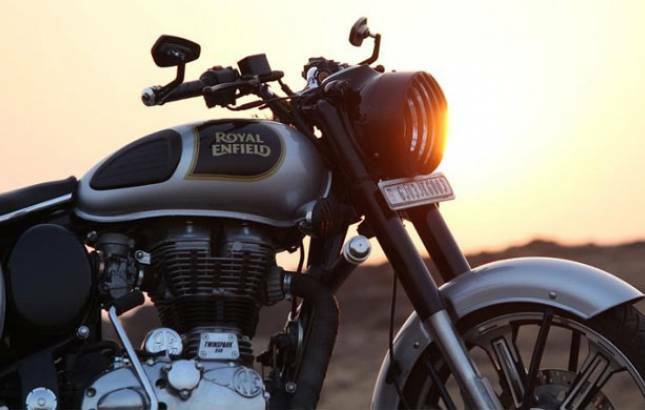 Indian motorcycle manufacturing brand Royal Enfield is all set to launch two new flagship cruisers, Thunderbird 500X and Thunderbird 350X, in the Indian market on February 28. The motorcycle is expected to carry the same engine from the existing Thunderbird flagships and in the same state of tune. This, in turn, means that the Thunderbird 500X could come with a single-cylinder 499cc engine, which develops 27.2bhp and 41.3Nm of peak torque, while the 350X could power 346cc single-cylinder engine which churns out 19.8bhp of peak power with 28Nm of peak torque. The major changes will be on the design front, as both the motorcycles are said to come with a new designable approach, which might include new handlebars that will be comparatively lower than the existing models, along with new seats on offer. The wheels, too, will adapt the changes with new 9-spoke alloys carrying a matte black finish instead of the regular silver finish, and this will be applied to the engine and the suspension as well. Other additions include LED tail lights, LED (Daytime Running Lamp) DRLs on headlamp cluster, and disc brakes on both the front and the back, but the ABS could be missed. As for the colour options, the Thunderbird 350X is expected to come in red and white option, whereas the Thunderbird 500X will be offered in a yellow shade, and a blue shade as well. The price of the Thunderbirds is yet not disclosed, but regarding the changes, the price might rise a bit from that of the existing models, Thunderbird 350 at Rs 1.48 lakh, and Thunderbird 500 at Rs 1.90 lakh.